Google changed things up this year by giving us a preview of the next big version of Android. However, they didn’t name the damn thing. 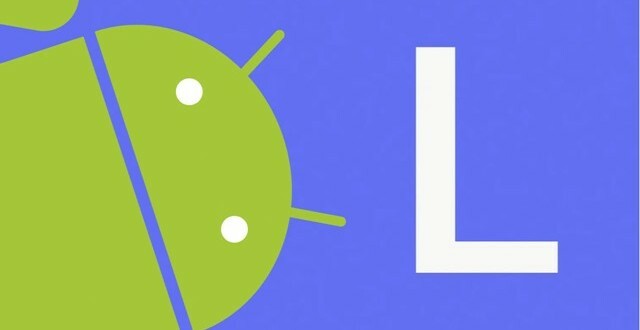 It’s simply Android L.
Will that be the name or will tradition remain in place with the “L” being a tasty dessert such as Lollipop or Licorice? 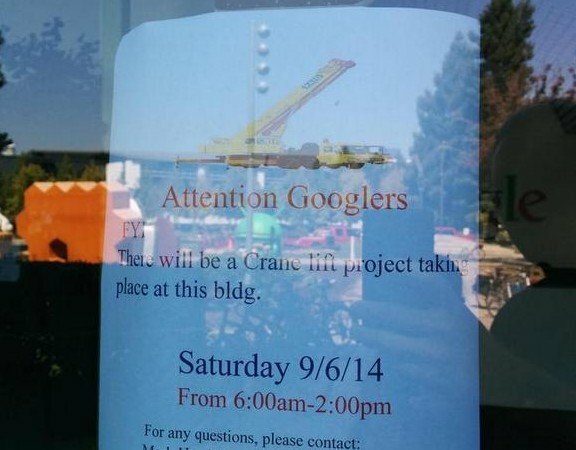 All signs seem to point towards Lemon Meringue Pie, but we won't know for sure until a statue is put out in front of the Googleplex. 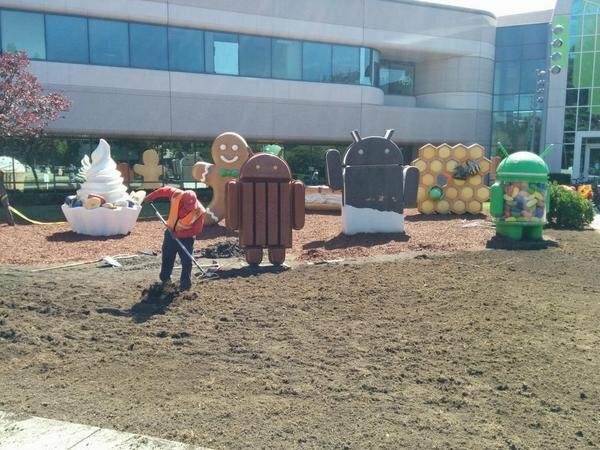 It appears that Google is just about ready to place that statue. It looks like they are already getting ready for something, and a note is there saying work will be done on Saturday, September 6. Now that “work” might not have anything to do with a new statue just yet. It could just be preparations, but what else could they need a crane lift for? I am not sure Google has ever unveiled a new statue on a Saturday, but hey this is Google, anything is possible.